« White people are allowed to riot? This was published yesterday on Breach Bang Clear. I don’t know that I’ve ever enjoyed a training class as much as this one. 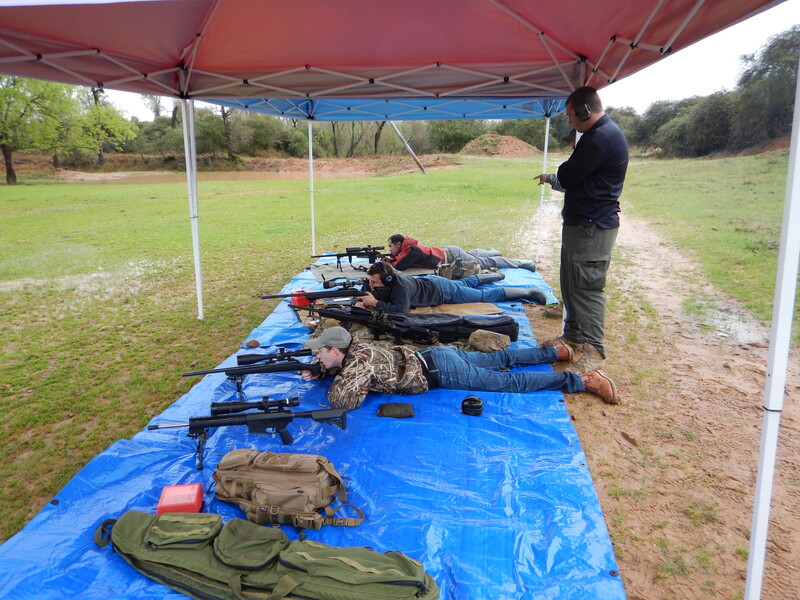 This was on day two of 1MOA Solutions’ (1moasolutions.com) Precision Rifle Course, held at Red Stag Tactical’s range in Eagle Lake, Texas. 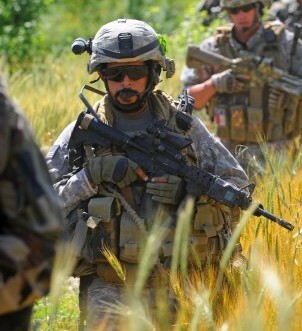 When I heard about the class I got all excited at the prospect of making long-distance shots like I had in Afghanistan. The problem was, I don’t own a good long-distance rifle. So my options were borrow whatever I could get, or take my WWII Enfield to the course. I borrowed an AR-10 clone from an Army buddy. It had a badass new Trijicon scope on top; unfortunately, it was a badass Trijicon scope with a hunting reticle, no mil or MOA lines. And I only had 75 match rounds instead of the required 200, the rest was whatever craptastic ammo I could find at Academy. So while I expected to learn a lot at the course, my personal performance expectations were low. I figured I’d be able to hit out to 600 or so, and would watch other shooters hit at a thousand. I was just there to have a good time. The instruction we did receive, however, was friggin’ fantastic. Here’s what I learned: The right gear makes a huge difference. 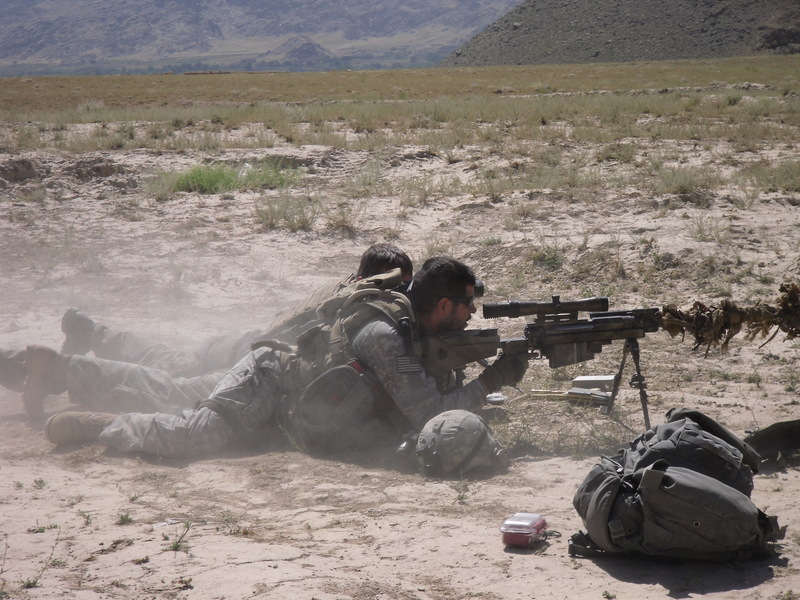 Prior to this class I thought my Afghanistan M14EBR was the One True Rifle. I expected my borrowed AR-10 to be decent, nowhere near as good as a 14. Taking a course like this is on the list of things I want to do some day. I (finally) got my expert badge on my last trip to the range when I was in the Marines. I remember how happy and proud I was that day. I just built a 6.5 AR and bought 500 rnds of Hornday SST. I actually was a tanker… so… Definitely would be interested in a good precision rifle course. No, Kansas City, MO. There are some decent ranges around here, but I’m unaware of any that offer a long range course. this is good, your instructor is strict. you will learn more quickly. you will soon hit long target. 1 1MOA rifle accuracy from the pros.